Pool orders and exit once a certain profit is reached. Order Basket remembers active positions as a single group. 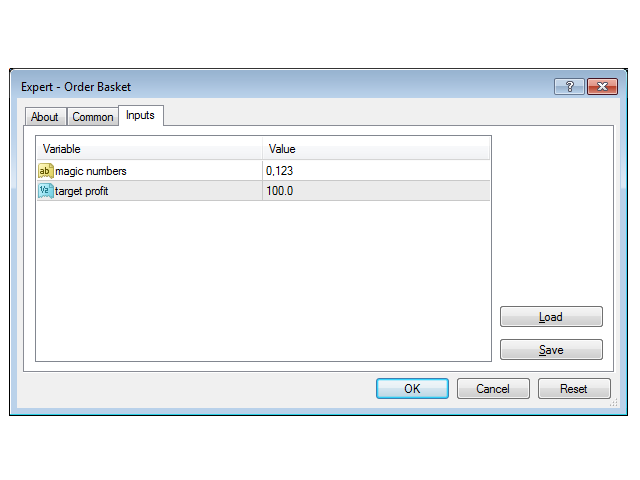 Once the combined profit of all the orders of the group is reached, Order Basket automatically closes all the orders in that group. 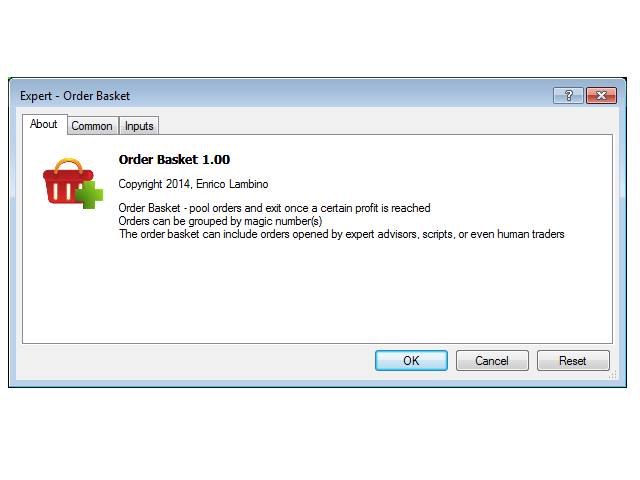 If using expert advisors or scripts, add their magic numbers to Order Basket. If tracking manually-opened trades, make sure that the magic number value 0 is included on the list. Purchased your Order Basket yesterday. When I first downloaded it within my VPS through my computer at work, it works properly and it continue to work properly. However, when I downloaded it directly unto my desktop computer at home just now, the EA is NOT working properly. 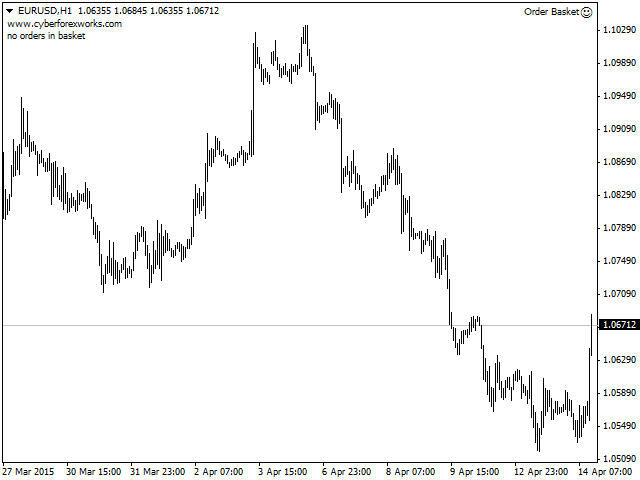 Please see screenshot attached here. I understand that I have 5 activations. I believe the above only counts as two activations. Please help. Sorry, don't seem to be able to upload the screen shot. Will do it in the Comments section.